CL Synergy, a pioneer in providing integrated innovative logistics and freight forwarding solutions, bagged a prestigious award at the Logistics & Transport Excellence Award for exemplary service. “We are honoured to receive such a prestigious award which commends the services offered by CL Synergy. The award is a testament to the highest levels of continuous contribution towards the industry and the efficiency, excellence in service demonstrated to our valuable customers,” said CL Synergy Ltd. Managing Director Roshan Silva. 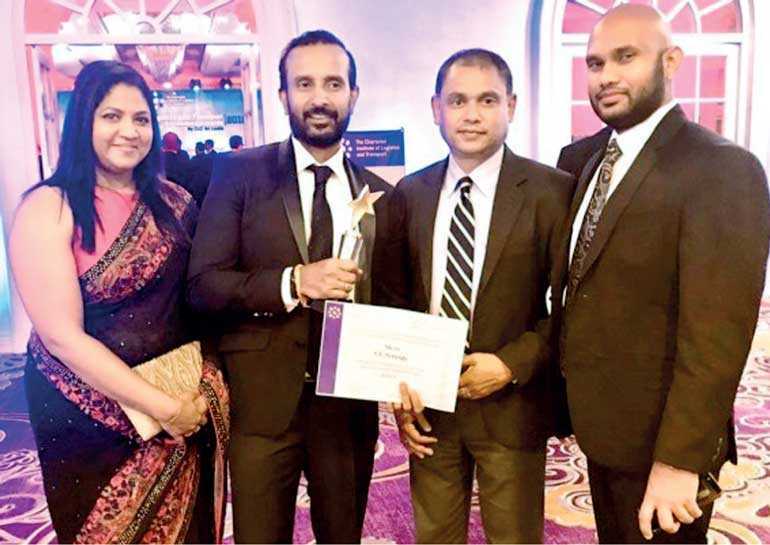 CL Synergy bagged the award at the Logistics and Transport Excellence Awards 2018 hosted by the Chartered Institute of Logistics & Transport (CILT) which was held at the Kingsbury Hotel in Colombo last week and CL Synergy was the only Freight Forwarder amongst them. CL Synergy became one of the eight awardees to be a recipient of a prestigious award by the Chartered Institute of Logistics and Transport. “We wouldn’t have been able to receive this award if it wasn’t for the effort, support and hard work that each team member of CL Synergy put in. Our service delivery would not be what it is if not for the team which works behind the scenes to make sure we deliver excellence at every step of the way,” said Silva.